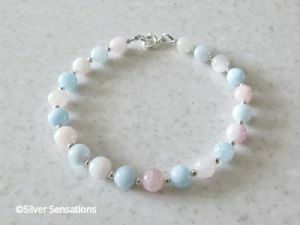 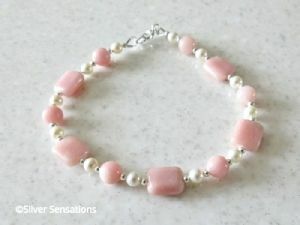 For this uniquely designed pastels bracelet I've used natural pastel pink & blue Morganite 6mm pastel pink & blue round beads. 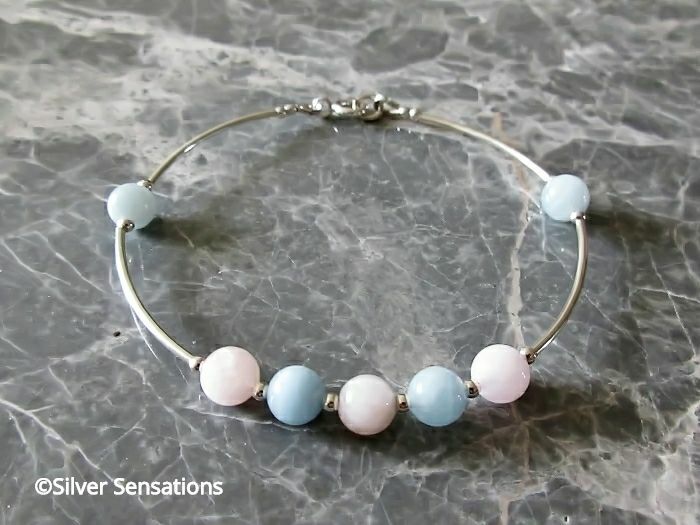 At the front of the bracelet I've alternated 5 of these pink & blue semi precious gemstones with a small round seamless Sterling Silver bead between each one. 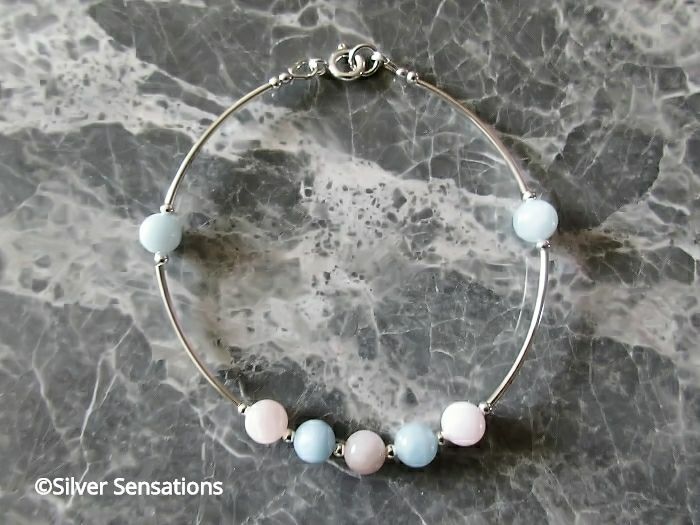 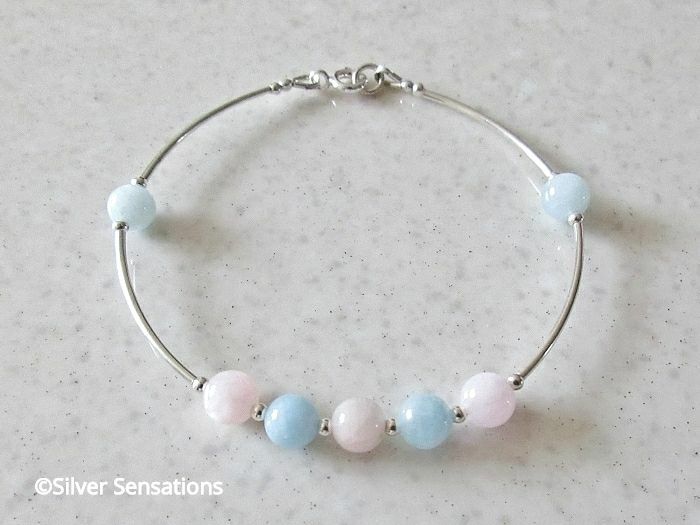 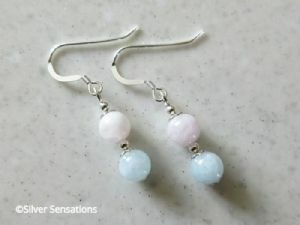 There is also another pastel blue Morganite bead at each side of the bracelet with more Sterling Silver beads & curved tubes giving it its bangle style. 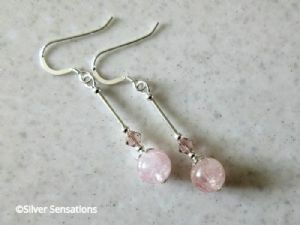 Some of these Morganite beads have beautiful patches of iridescence making them really glow. 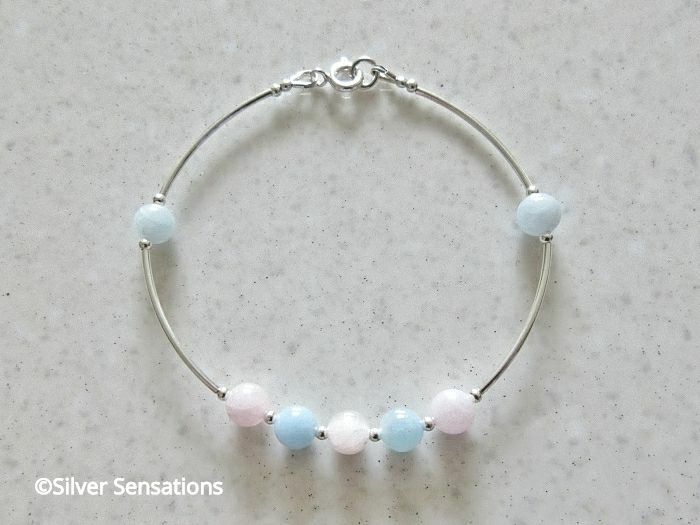 This limited edition bracelet has a wearing fit of 7.5" & is finished with Sterling Silver fittings and a bolt ring clasp fastener. 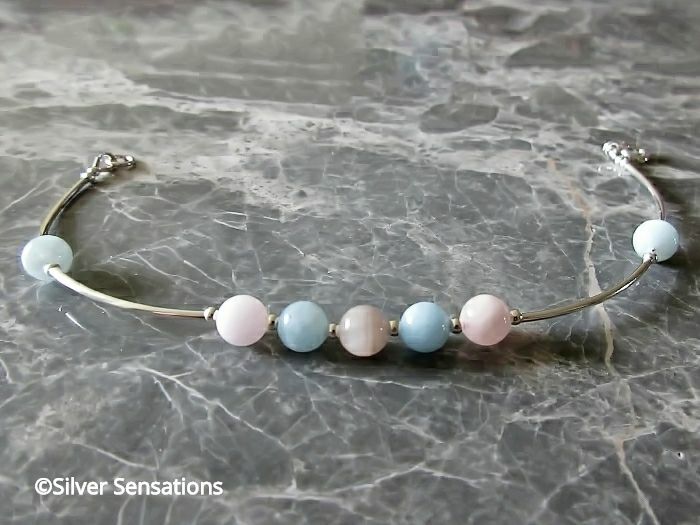 A pretty bracelet which shows your feminine side & can be worn at any time.